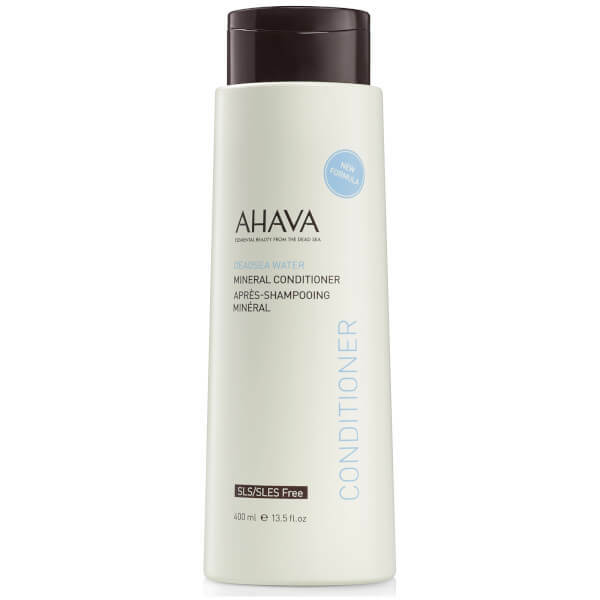 Treat your locks to AHAVA Mineral Conditioner; a rebalancing and rejuvenating formula that effectively detangles strands, as it replenishes hair and scalp hydration. Fortified with Aloe Vera, Pro-Vitamin B5 and Osmoter™ (the brand's proprietary blend of Dead Sea Minerals), the lightweight conditioner restores softness and shine, whilst helping to strengthen fragile and dry hair for minimised breakage and split ends. Tresses feel smooth and healthy with long-lasting moisture. After using shampoo, apply and distribute through hair. Rinse off thoroughly. Aqua (Mineral Spring Water), Behentrimonium Chloride, Cetyl Alcohol, Myristyl Myristate, Ricinus Communis (Castor) Seed Oil, Aloe Barbadensis Leaf Juice, Glycerin, Peg-40 Stearate, Bisamino PEG/PPG-41/3 Aminoethyl PG-Propyl Dimethicone, Sodium Lauroamphoacetate, Cyclopentasiloxane, Dimethiconol, Caprylyl Glycol, Chlorphenesin, Phenoxyethanol, Stearyl Alcohol, Crambe Abyssinica Seed Oil, Parfum (Fragrance), Cyclomethicone, Sorbitan Tristearate, Allantoin, Sodium Chloride, Maris Aqua (Dead Sea Water), Propylene Glycol, Sodium Trideceth Sulfate, Cocamide MEA, Chamomilla Recutita (Matricaria) Flower Extract, Tocopheryl (Vitamin E) Acetate, Citric Acid, Sodium Citrate.